Answers to some of the frequently asked questions we get at Bala Adventure and Watersports. Are dogs allowed on the equipment? Do you hire boats and canoes? Do you run boat trips? Can I launch my own boat or canoe? Are children allowed to take part? What are the age limits? The date or time I want isn't available to book online. What can I do? How long are your instructor-led sessions? Do you offer one-to-one coaching? What does whitewater rafting entail? Do you take school groups? Can I book a corporate team-building day? Do you hire wetsuits and buoyancy aids? Do all activities take place on site? If you have a specific date for the course you would like, please give us a call at the centre on 01678 521 615 to inquire. Yes, dogs are more than welcome on our equipment. Canoeing/kayaking, climbing/abseiling, gorge walking, hill walking, sailing, windsurfing, raft building, whitewater rafting, mountain biking, archery, camp craft and powerboating. We also run boat trips and canoe hire, as well as team-building and multi-activity days for groups. Canoes, boats and windsurfers are all available to hire, by the hour. Half days and full days are also available. When hiring a canoe, you'll receive basic instructions and be told the boundaries. When hiring boats and windsurfers, you must be able to handle them, with our check being that you can rig them yourself. Contact us for price details and to book. Boat trips around Bala Lake (Llyn Tegid) are available, aboard Branwen. Two to six people may book. Each boat trip lasts 1.5 hours. There is no minimum age. Each under 6 year old accompanied by a paying adult is free. Private launches are the responsibility of Snowdonia National Park, rather than Bala Watersports. Payment is made via the pay and display machines at the car park, with the money going to support the maintenance and development of the National Park. Accompanied children of all ages can take part in our Branwen boat trips (under 6s are free). Canoes can be hired to children of all ages, if accompanied and under full and direct adult supervision. For unaccompanied children, the age limit is 8. The minimum age is 8 for instructor-led sessions in canoeing/kayaking, mountain biking, raft building, sailing, windsurfing, climbing, archery and camp craft. The minimum age is 10 for a whitewater rafting safari (lower river). The minimum age is 12 for standard whitewater rafting (upper river), and instructor-led sessions in gorge walking, hill walking, and powerboating. The minimum age is 16 for a safety boat course. School groups should contact us directly to discuss age requirements. We're open throughout the year, although our high season is April to October. We're closed for two weeks over Christmas. Our offices are open from 9am to 5pm, and check-in for activities begins at 9.45am. During particularly good weather in the summer months, our opening hours for canoe and boat hire will extend into the early evening. Contact us if the date or time you want isn't available. We may be able to schedule an extra session, particularly in our low season (November to March). Archery and camp craft sessions are 1 hour long. Half day sessions take 2.5 hours. A morning session starts at 10am and ends at 12.30pm. An afternoon session starts at 1.30pm and ends at 4pm. Half days are available in canoeing/kayaking, climbing/abseiling, gorge walking, sailing, windsurfing, raft building, hill walking, and mountain biking. We ask that you check in to reception 15 minutes before the start of your session. Whitewater rafting involves up to four runs over two hours. The lower river safari takes a similar length of time. A variety of times are available. Please contact us for details. Full days start at 10am and end at 4pm, with an hour for lunch. Packed lunches can be ordered at the time of booking, or you can bring your own. Full days are available in canoeing/kayaking, climbing/abseiling, gorge walking, sailing, windsurfing, hill walking, and mountain biking. We ask that you check in to reception 15 minutes before the start of your day. Two-day courses start at 10am and end at 4pm each day, with an hour for lunch. Packed lunches can be ordered at the time of booking, or you can bring your own. We ask that you check in to reception 15 minutes before the start of each day. We offer 1-star and 2-star canoe/kayaking courses, RYA level 1 and 2 sailing courses, an RYA start windsurfing course, and level 2 and safety boat powerboating courses. We also offer a range of more advanced windsurfing and sailing courses, including a 2-day RYA seamanship skills course, and a 5-day RYA day skipper theory course. Please contact us directly for dates of course availability, and to book. One-to-one coaching is available in all our activities. Please contact us for available dates, and to book. Our address is Bala Lake foreshore, Bala, Gwynedd, LL23 7SR. We are clearly signposted as you pass through Bala on the A494. There is a bus stop right by the foreshore centre, or it's a short 5 minute walk from the bus stop in the centre of Bala. Bala is served by the T3 Traws Cymru bus service (Wrexham, Llangollen, Corwen, Dolgellau and Barmouth). As much as we'd love to recommend public transport, unfortunately, getting to Bala Watersports by train isn't particularly easy. Ruabon train station is on the X94 bus route that leads to Bala. Bus routes from other train stations in the area (including Betws-y-Coed, Harlech, Porthmadog and Blaenau Ffestiniog) typically involve changing in Dolgellau to the X94 bus. If cycling to us, using the National Cycle Network, we're near Regional Route 15, Gwynedd Route 16, and in the middle of National Routes 84, 85 and 8. We offer full rafts (4-7 people) for up to four runs over two hours of the upper river. This is a grade 3+/4 river. Full rafts (4-7 people) are also available for the lower river safari, which is a grade 2-3 (with one grade 4 rapid). If you wish to book whitewater rafting for fewer than four people, we offer Paddle Day packages. These involve a whitewater rafting taster session (two runs over one hour of the upper river) plus a half day canoeing/kayaking session at Bala Lake. We don't sell individual rafting places on their own. All whitewater rafting is subject to a water release by the Environment Agency. The Environment Agency don't guarantee any water release dates, but typically the wetter months have more water releases. Schools of all ages and all other groups are warmly welcomed at Bala Watersports. Our highly talented and trained staff are well-versed in running group activities for children. All our instructors are CRB checked. We are an RYA OnBoard Club for windsurfing and sailing. Please contact us directly to check available dates for school groups and to book. Can I book a corporate team building day? We can run your corporate team building day, whether you want to simply get together and take part in our activities, or if you want a more formal team-building structure. Contact us to discuss your corporate requirements. A half day or full day session in canoeing/kayaking involves learning the basic paddling skills, and trying both kayaking (single seater) or canoeing (double seater). The 2-day 1 star canoeing/kayaking course is an introductory paddling qualification, provided by our highly talented and qualified staff. No previous experience is required, but you must be water-confident and able to swim. The course is an introduction to both kayaking and canoeing, covering all the necessary basic skills. The second day will include a journey around sections of the beautiful Llyn Tegid (Bala Lake) in Snowdonia National Park. It's also a great stepping stone to the 2 star course, which we also offer. The 2-day 2 star canoeing/kayaking course is an improvement paddling qualification, provided by our highly talented and qualified staff. You must be water-confident and able to swim. You must either have a 1 star qualification, or evidence of equivalent experience and ability. The course helps you develop fundamental skills on flat water, and will help build a breadth of experience. The second day will include a journey around sections of the beautiful Llyn Tegid (Bala Lake) in Snowdonia National Park. Anyone hiring a boat or canoe with us (or taking part in a water-based instructor-led course) has a buoyancy aid included in the price. Wetsuits are included with all instructor-led courses. Wetsuits are available when hiring a canoe or boat for £3. We don't hire wetsuits or buoyancy aids to non-customers. For water-based activities, you'll need a warm change of clothes, a towel, and a pair of shoes you don't mind getting wet - a pair of old trainers will be fine. We can sell you a pair of wetsuit boots, but recommend that you contact us beforehand to ensure we have your size available. For land-based activities, we recommend a warm long-sleeved top, and waterproof clothes regardless of the weather. You will need suitable footwear, eg trainers. For full day activities, you will need a packed lunch. You can order a packed lunch at the time of your booking. All appropriate safety equipment (eg buoyancy aids, helmets etc) will be provided by Bala Watersports. Canoeing/kayaking, sailing, windsurfing, powerboating and raft building take place on site, at our foreshore centre. Whitewater rafting, archery, camp craft, climbing/abseiling, mountain biking, gorge walking and hill walking take place a short drive from our foreshore centre. For all activities, except for whitewater rafting, we ask for you to check in at our foreshore centre first. Unfortunately, the activity locations aren't easily accessible via public transport. We are keen to encourage people to use public transport wherever possible, so if you intend to visit us without a car, please contact us in advance to discuss your requirements. No previous experience is required for most activities. You must be fit and able, and must inform us of any illnesses or disabilities beforehand. For water-based activities, you must be confident in the water and able to swim 25m in a buoyancy aid or lifejacket. For mountain biking, you must be able and confident riding a bike. For 2 star canoe courses, you must have a 1 star qualification, or evidence of equivalent experience and ability. 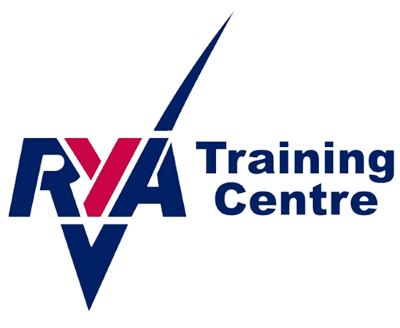 For level 2 sailing courses, you must have a level 1 qualification, or evidence of equivalent experience and ability. A level 1 powerboating qualification isn't required before undertaking a level 2 course.